622 press is a one-woman studio currently celebrating its 10th year in business. 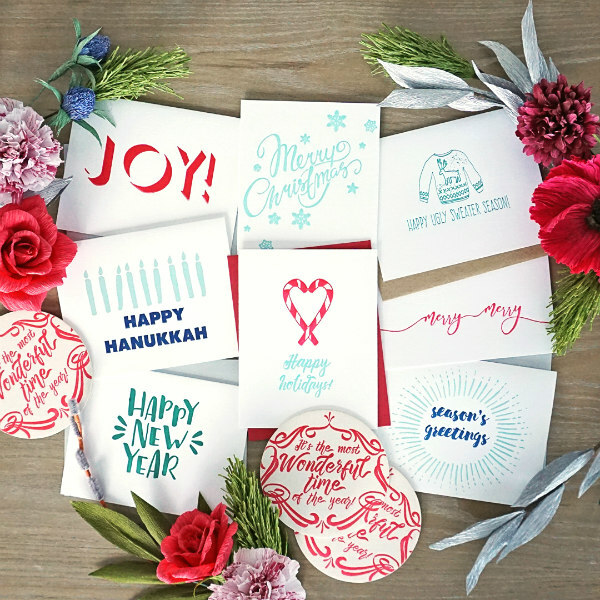 Originally offering stationery, cards, and coasters hand-printed on a letterpress from 1882, owner Kristin Joiner has added handmade crepe paper flowers and other gifts to her line over the years—making it the perfect one-stop shop for all your holiday gifts! 622 press is also on Etsy. 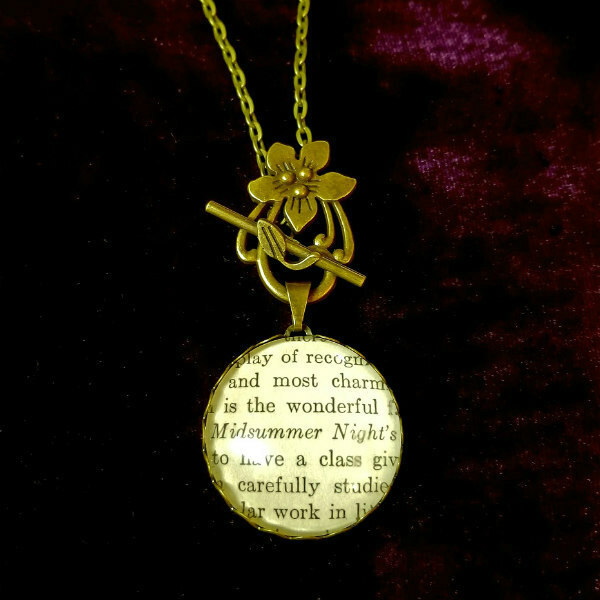 Combining her love of all things vintage with her desire to share beautiful words, mixed media artist and English major Nina Ruth Bruno of Alwayz A Treasure specializes in creating one of a kind custom jewelry pieces that feature vintage and antique book pages. Aster + Quail Studio suggests you give the gift of light this holiday season. 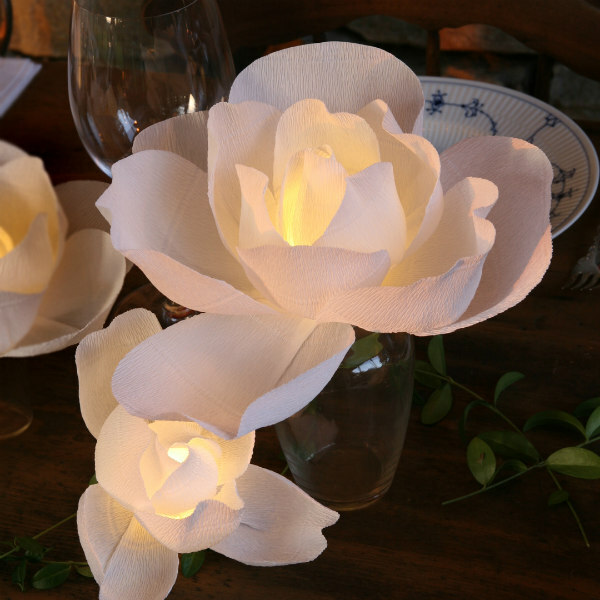 "Our paper flower centerpieces are illuminated with warmly glowing battery powered LED lights. An exceptional addition to any dinner party or holiday mantel." Aster + Quail is also on Etsy. 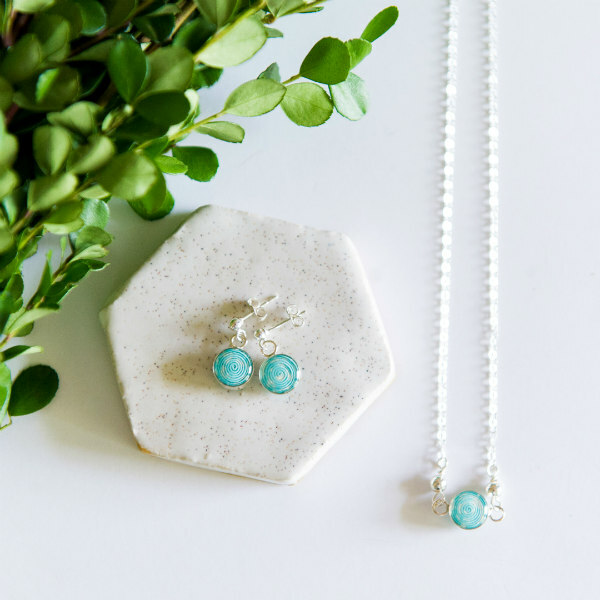 Julie Dye of Blossom and Shine blends modern sterling silver and 14k gold filled handmade jewelry with dainty Japanese paper accents to create unique daily wear and statement pieces that last. Blossom and Shine also has an Etsy shop. 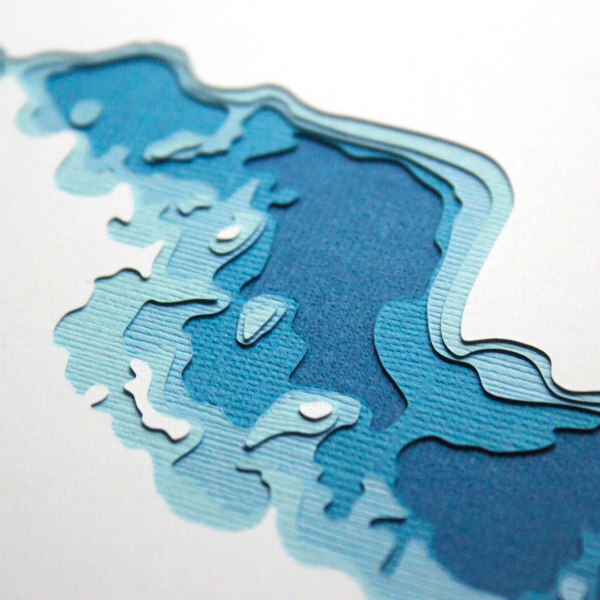 Marnie Karger of Crafterall designs and cuts maps of lakes, shorelines, islands, and terrains by layering simple, colorful paper, thereby creating artworks that are at once accurate and abstract. She works from her home studio in Shorewood, Minnesota. Crafterall is also on Etsy. 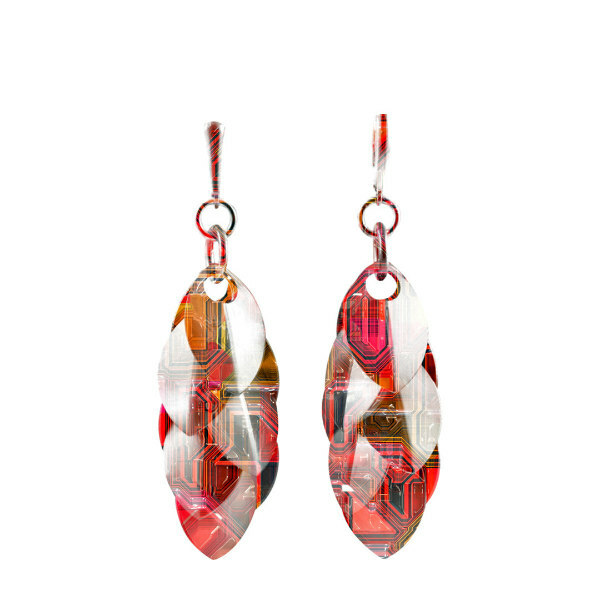 Petals to the Metal earrings by Diana Ferguson of Diana Ferguson Jewelry are beautiful, intricate clusters made with watercolor paper, metal, and resin that are visually hard to miss, but surprisingly lightweight and comfortable. Stunning from every angle, they're perfect for everyday wear or as an evening statement piece. Jewellery graduate Dittany Rose works in silver, layered coloured card, and clear resin, and aims to create contemporary jewellery that is light, fresh, and easy to wear. You'll recognize Dittany's work immediately with its distinctive patterns. She sells her paper jewellery online via Dittany Rose and in UK galleries; Dittany Rose is also on Etsy. You'll find a diverse DIY selection of fun, printable patterns in Éric François's Ecogami Shop to make creased and folded paper faux taxidermy animals and other unique home decor. 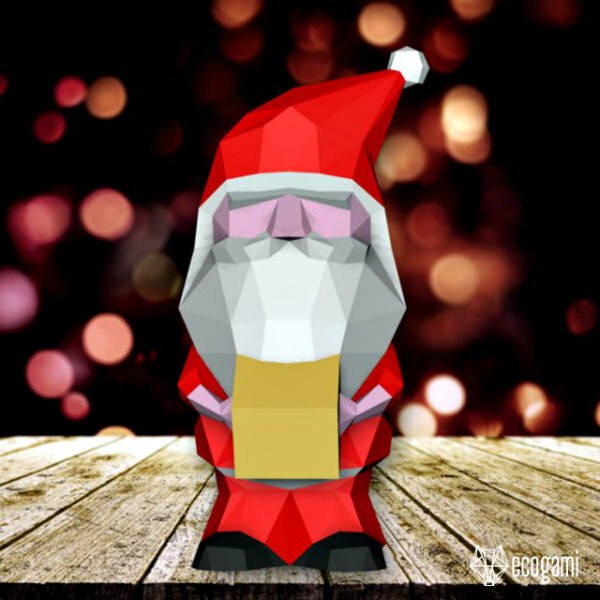 This 3D Santa would be a mighty cute decoration! Niharika of Filigratti is passionate about designing pieces of wearable art that are environmentally friendly. 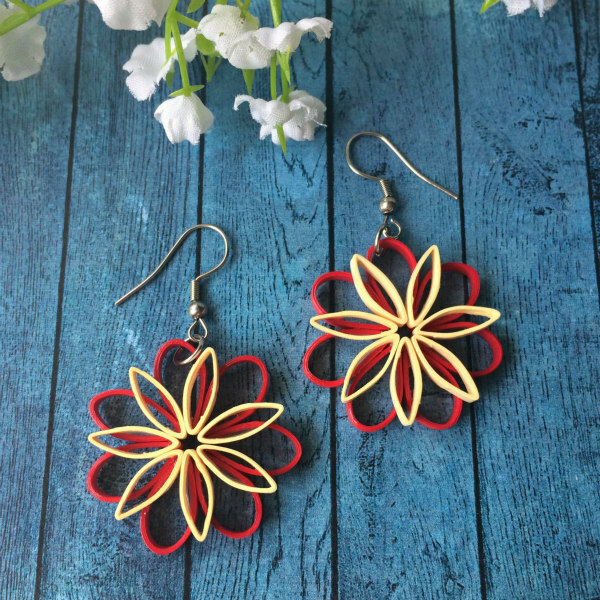 Her colorful Etsy shop is stocked with distinctively stylish paper quilled earrings. 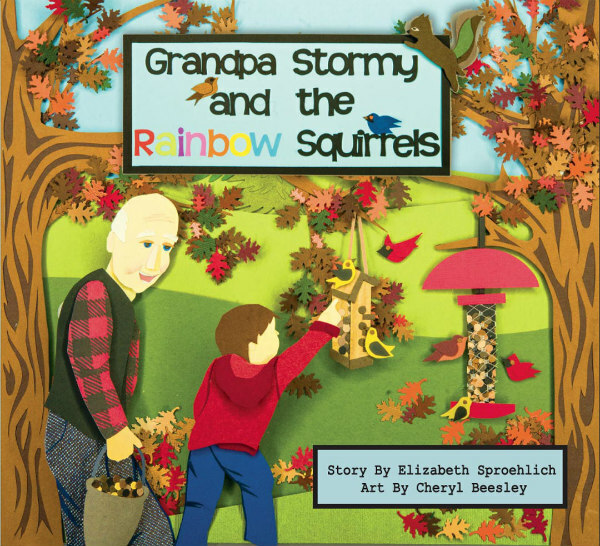 Self-published children's book Grandpa Stormy features hand-crafted, pieced paper illustrations by Cheryl Beesley. In this heartwarming story, enjoy the zany attempts of a grandfather and grandson as they work together to keep squirrels from eating all the bird seed in their feeders. Loving relationships can grow when grandparents and grandchildren spend time together. Griffin Carrick Design offers beautiful quilled paper tapestries and mobiles for the home. 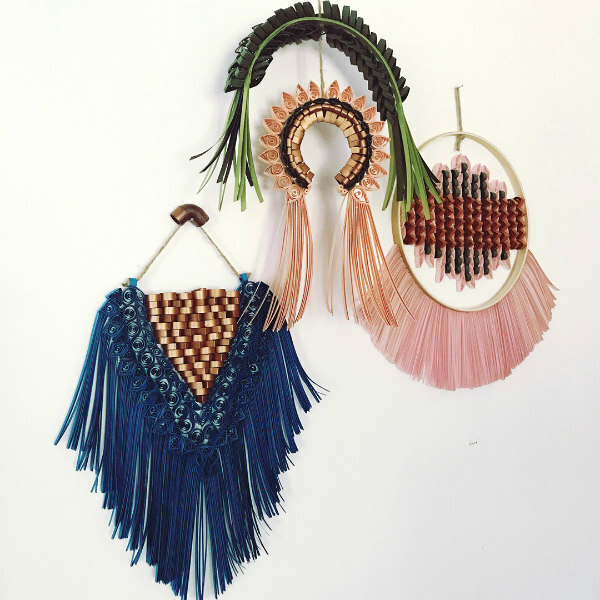 Griffin's work is inspired by the traditional fiber arts of weaving, macrame, and lace as well as the patterns, forms, and textures found in built and natural environments. 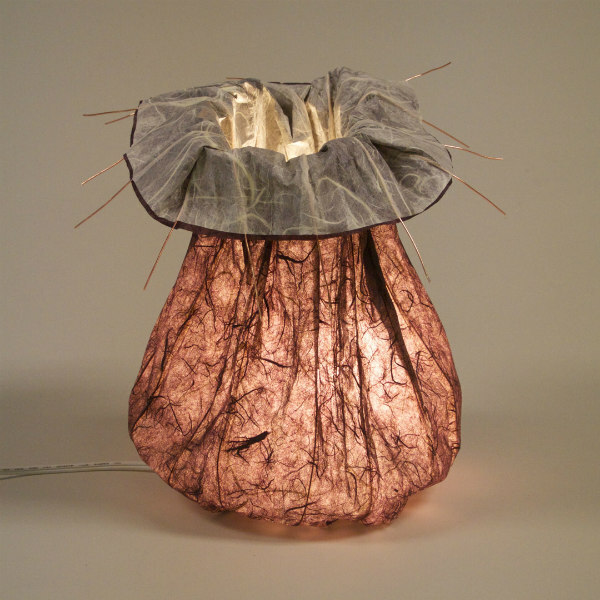 Helen Hiebert Studio presents a selection of one-of-a-kind handmade lamps, lanterns, and folding screens in its new online shop, as well as how-to books about papermaking and paper crafts. Helen's popular Twelve Months of Paper How-To Book and Calendar is filled with a dozen projects for the whole family to create together. Ana Cosme's Etsy shop Her Paper Paradise was born of the love for paper crafting and the wish to have a zero waste business. The age-old art of quilling allowed a diverse expression of creativity that she wasn't able to find in other art forms. Her goal is to create items that amaze and make people smile. 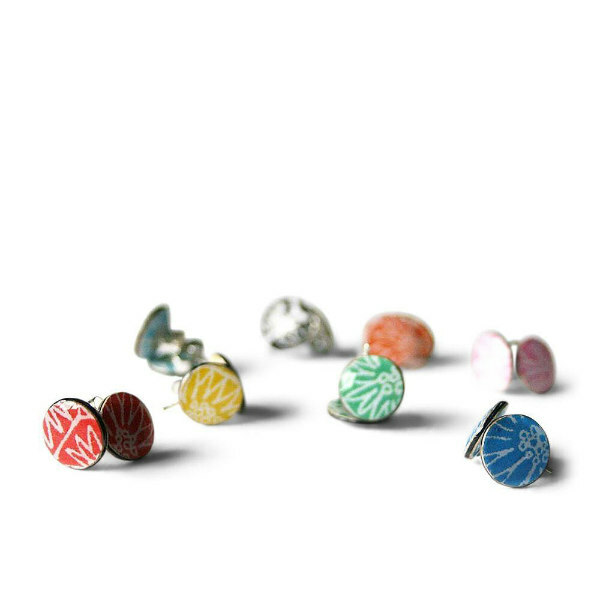 Emma Pallotta of Hoppipolla Lab Shop creates original, hand painted rice paper jewelry in Carmagnola, Italy. 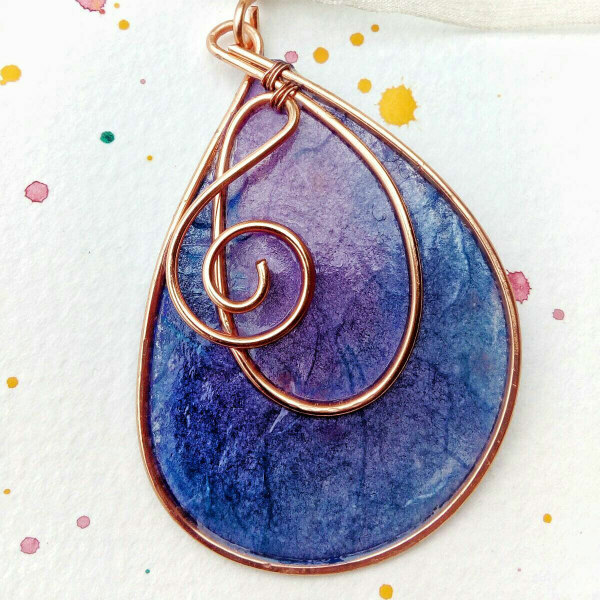 For the music lover on your list, this violet gradient necklace pendant features a treble clef formed from copper wire. Shipping time to North America is 3-9 weeks so order soon. Island Lines by Lynda Millar offers hand cut paper ornaments, as well as prints of cut paper illustrations on Christmas cards. 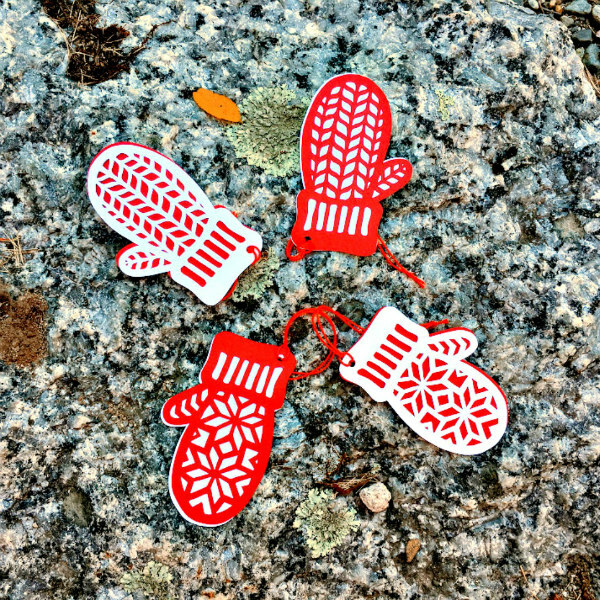 Scenes of winter in Maine feature in many of the card designs and the paper ornaments may be personalized. 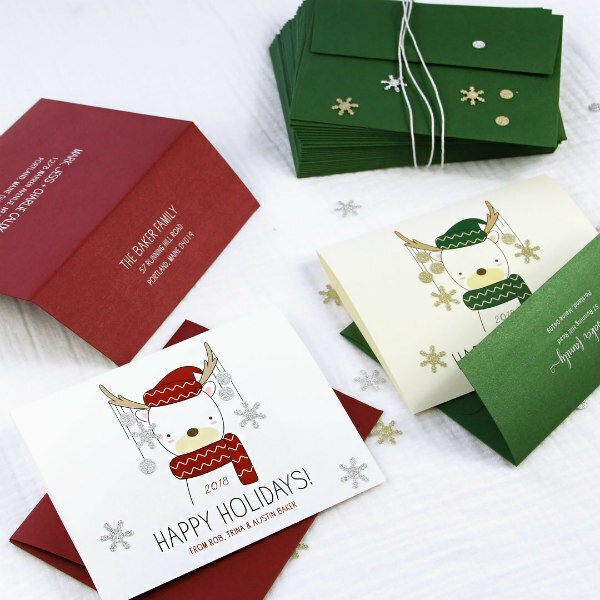 LCI Paper Company is a one-stop shop for all your holiday paper craft and card making needs. Choose from hundreds of fine papers, cards, and envelopes, blank or professionally printed. Order online 24/7 with super fast shipping, great for those last minute projects! Lisa Cullen of LCStudios began making jewelry after going through an incredibly rough patch in her life. She was motivated by the strength, wisdom, faith, and laughter that so many women she knows exhibited in the face of some equally, if not worse, life experiences and was inspired by them to find a way to become a source of support for women going through tough times. 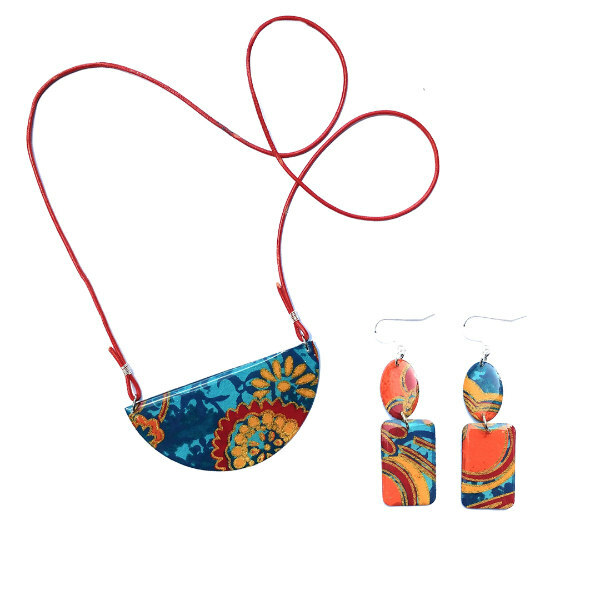 Her bold jewelry is created with paper, resin, and sterling silver findings. 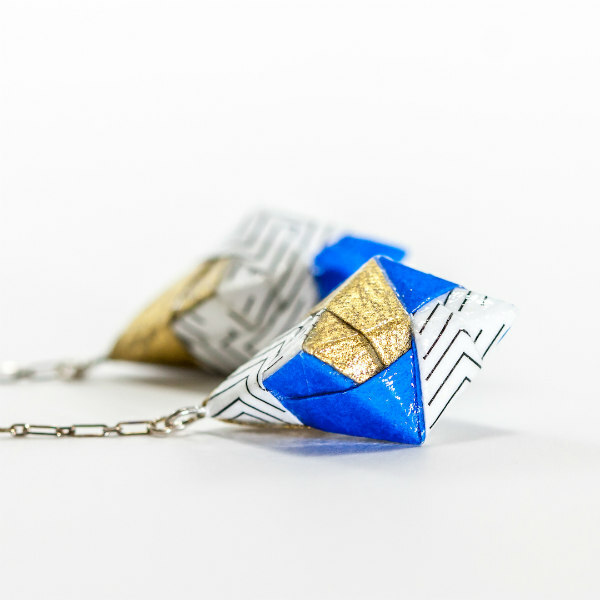 Leela Morimoto of LeeMo Designs designs one of a kind origami and origami-inspired jewelry, lights, and art. 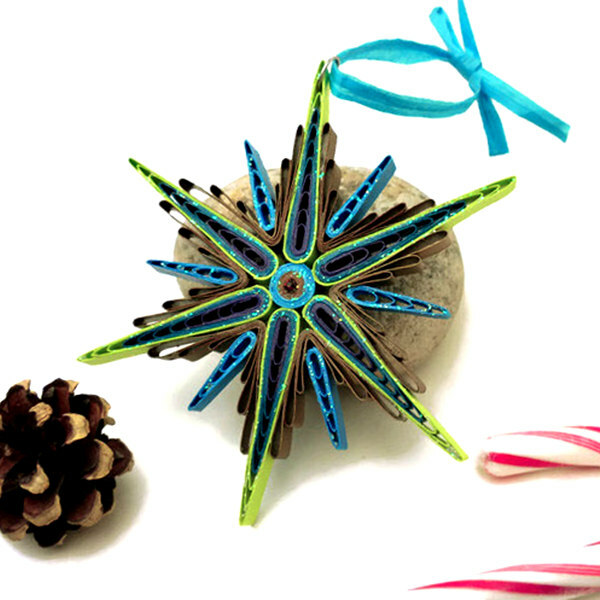 Lynette Williams of Etsy shop Little Woods Goods makes recycled paper jewelry. Her selections include magazine pages, tissue boxes, wrapping paper, greeting cards, and security envelopes, as seen in the necklace above. Lynette enjoys people's reactions when she tells them her jewelry features otherwise discarded paper. 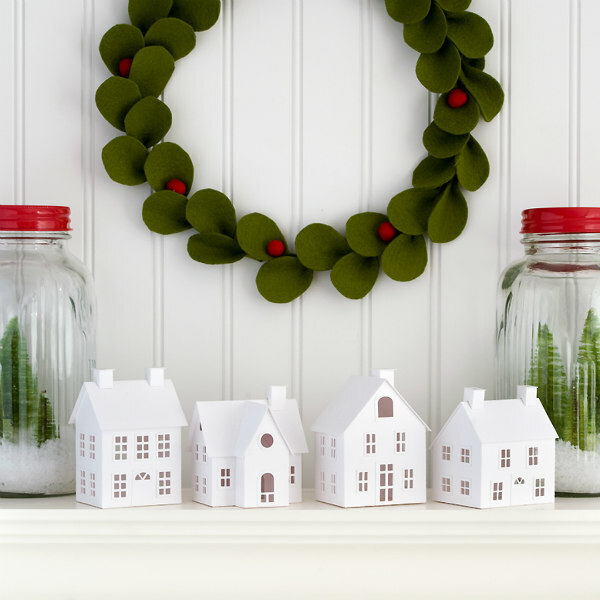 Come back tomorrow to meet more artisans and suppliers who help make the world of paper go 'round via the All Things Paper Holiday Gift Guide - Part Two! All Things Paper is an Ecogami, Etsy, and Twelve Months of Paper Calendar affiliate.